An ATF agent and two informants are alive today because the guns of two drug-dealing suspects failed to discharge. The St. Louis Post Dispatch reports that Frederick “Freaky” Crayton, 23 (pictured to the right) and James “J. 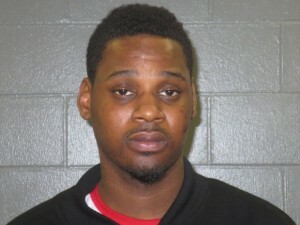 Blood” Jones, 21, tried to open fire on the agent and informants in a car but the guns malfunctioned. Federal prosecutors on Monday charged Crayton and Jones with assault on a federal law enforcement officer with a dangerous or deadly weapon. Posted: 4/23/13 at 9:23 AM under News Story.